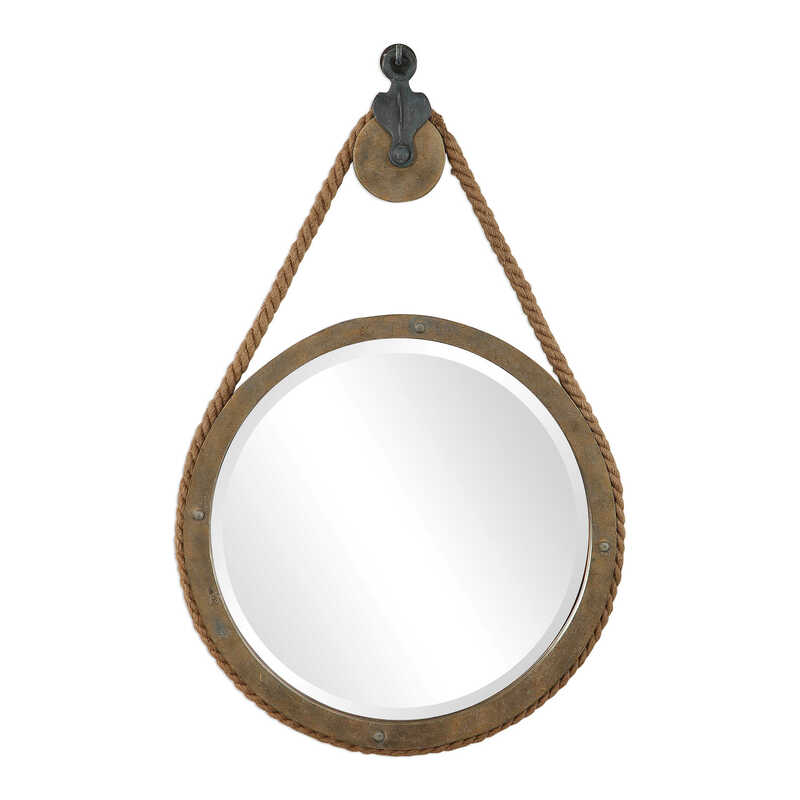 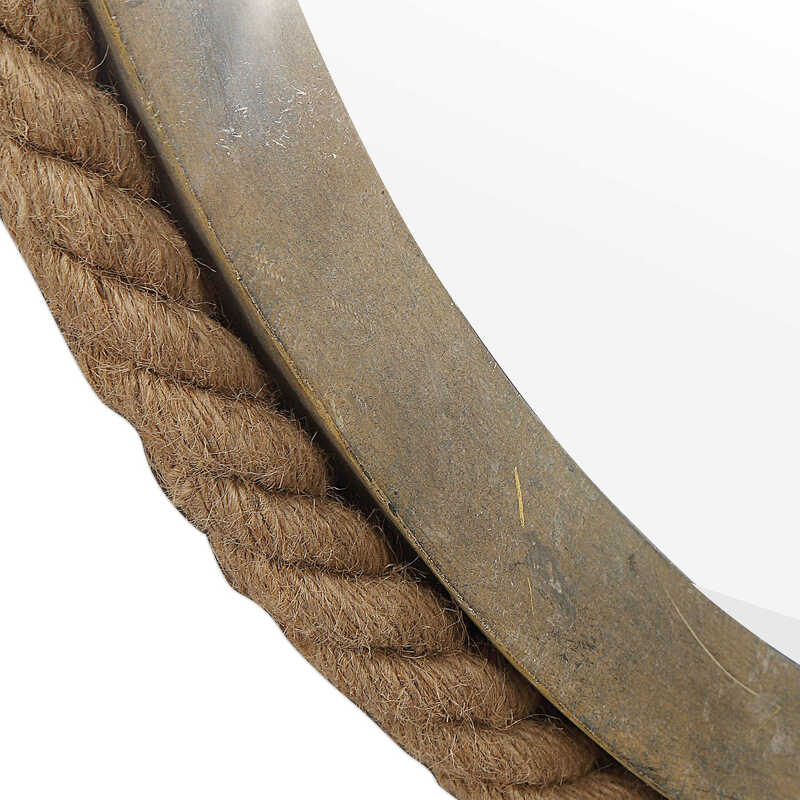 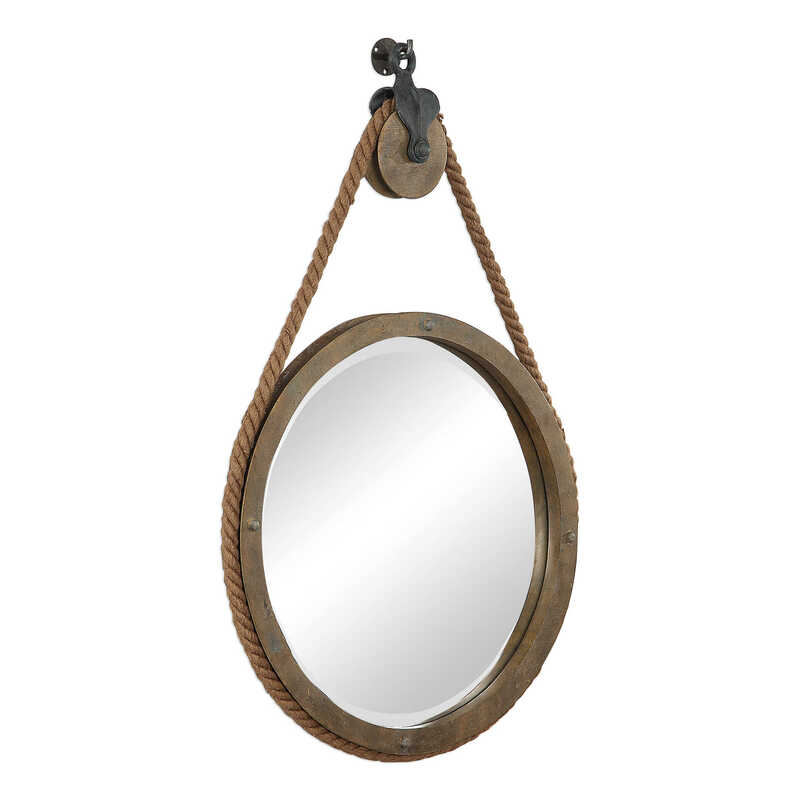 This rustic mirror design features an aged natural wood finish with exposed nail head accents and thick rope detailing that surrounds the mirror's frame. 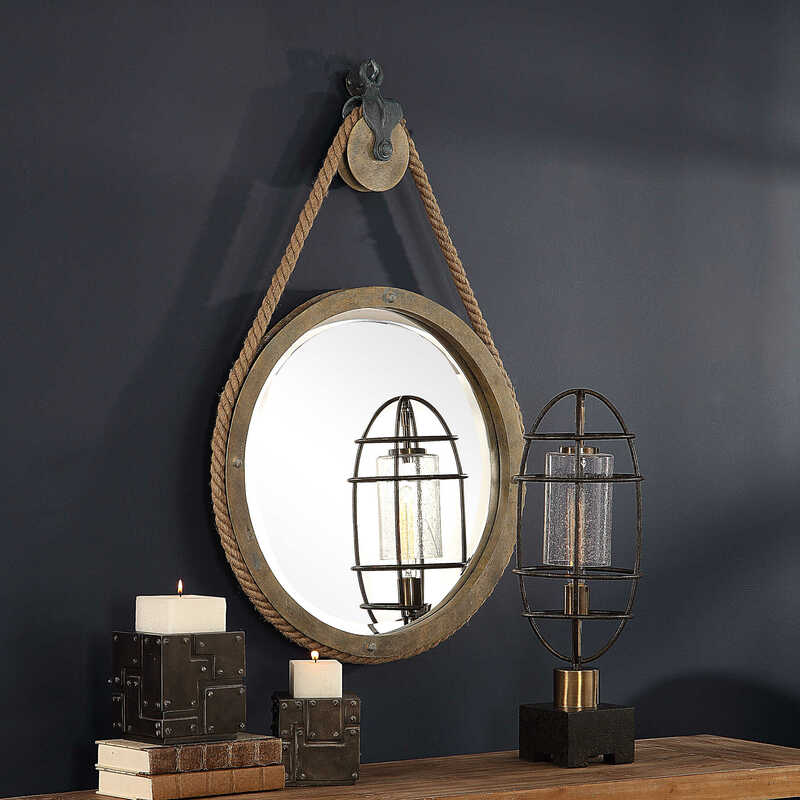 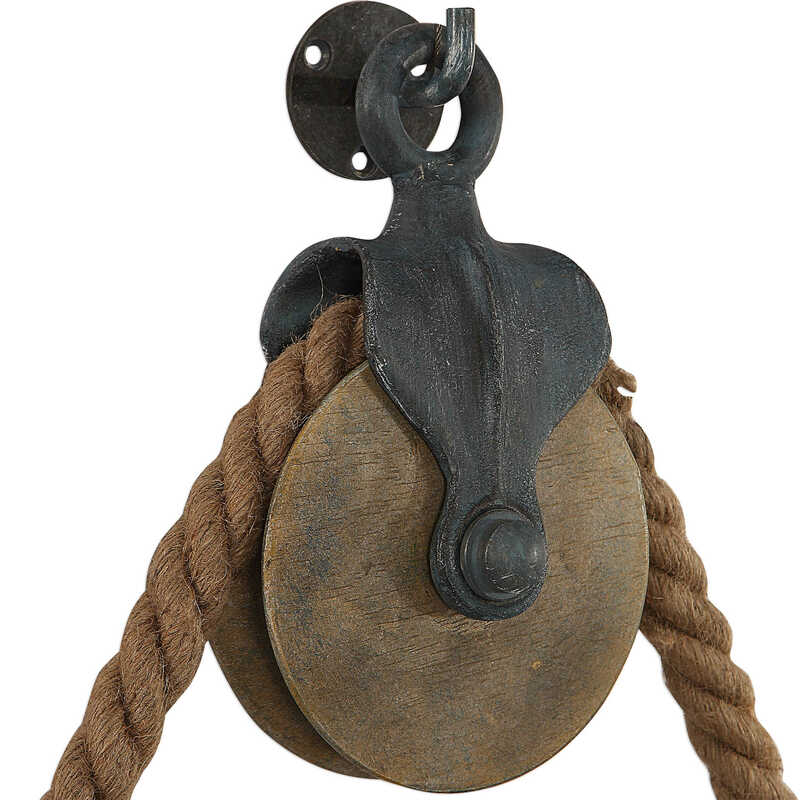 The mirror is hung using an antique-inspired pulley with aged black detailing and a matching aged black decorative hanging hook. 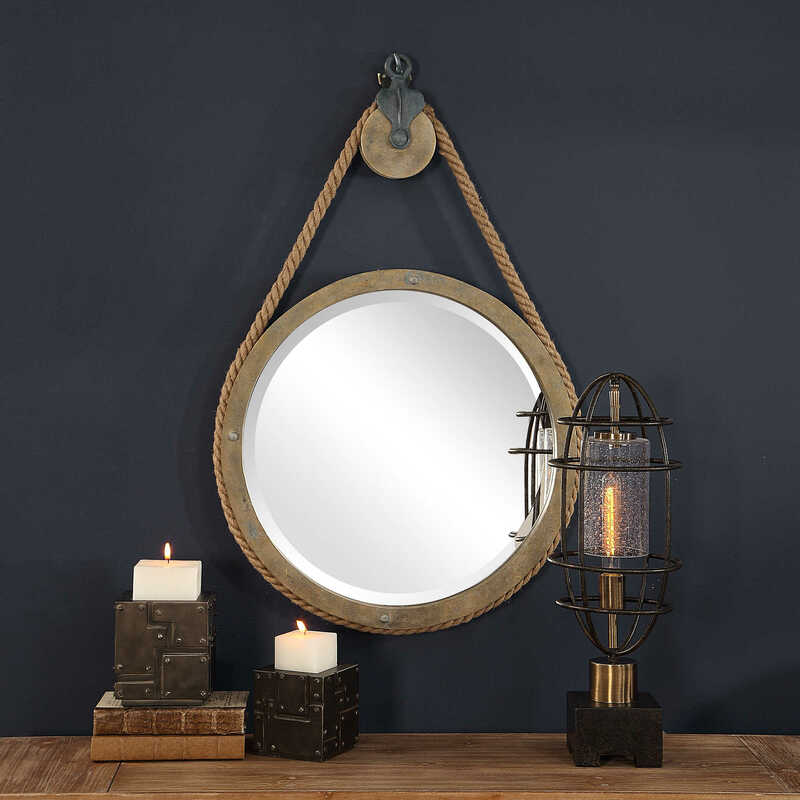 This round mirror incorporates a generous 1" bevel.